Super Smash Bros. Ultimate has arrived and everyone is here! Shacknews' Ultimate Character Profiles continue with the winner of the 2015 Smash Bros. Fighter Ballot. It was an excruciating couple of months down the stretch, but the wait is finally over. Super Smash Bros. Ultimate is here! Ultimate acts as a two-decade culmination of this long-running fighting franchise. Everyone from every Smash Bros. game is back again, as are some new competitors looking to join the battle. Today, we look at... oh, dear. Well, this was inevitable, wasn't it? Bayonetta is one of the few remaining Umbra Witches, powerful warriors able to summon Infernal Demons in exchange for their souls. She is locked in a neverending battle with the angels of Paradiso, using both the powers granted to her by the demon Madama Butterfly and the weapons crafted by her confidant Rodin. Her most recent journey saw her take on the demons of Inferno, the angels of Paradiso, and all the forces in-between. And through all of it, she never loses her swagger. Bayonetta achieved great popularity, both through her own magnetic personality and through her action-adventure games that were both critically acclaimed and criminally overlooked. 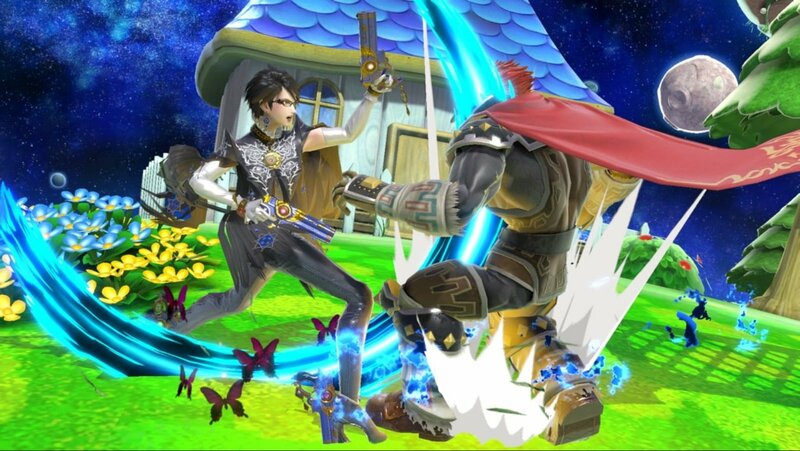 Despite the Wii U's low install base, Bayonetta 2 struck such a chord with players that Bayonetta shot straight to the top of the Nintendo-issued Smash Bros. Fighter Ballot, becoming the player-chosen DLC character for Super Smash Bros. for Wii U/3DS. With her hair demon and her Witch Time ability at her side, she's back to inflict more pain. 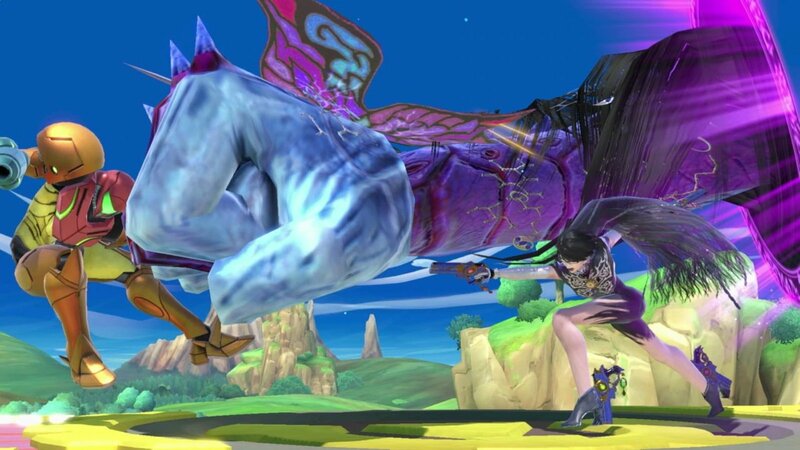 Just like in her games, Bayonetta is an intensive, combo-heavy character. Her appeal is in getting up close with fighters and hitting them with long chains of attacks, both on the ground and in the air. She's scary in the hands of a casual player and downright frightening in the hands of a veteran, because she'll not only KO, she can KO early. Bullet Climax (Neutral B): Bayonetta can charge up and fire bullets out of the guns in her hands or on her boots. A charged attack will hit harder, but fire less bullets. Witch Twist (Up B): Bayonetta rises up and hits fighters with a corkscrew move that can hit multiple times, though it gets below-average recovery distance. The aerial version of the move is one of the moves that's been a source of controversy in Smash 4's final days. If the aerial After Burner Kick connects with players and connects for all three hits, it's possible to KO at a very early percentage. Heel Slide (Side B): This is Bayonetta's big combo starter, able to score moderate damage while chaining into other attacks. On the ground, Heel Slide will see Bayo slide along the ground and follow-up with a cartwheel kick. In the air, this becomes an After Burner Kick and can hit twice. Witch Time (Down B): This is Bayonetta's other controversial move, one that allows her to slow time for any opponent trying to attack her. Timing is critical here, otherwise the move will teleport Bayonetta elsewhere. But Witch Time is not only an aggravating counter move, but it's also among the best edgeguarding moves. If Witch Time hits on a recovering opponent near the edge of the stage, Bayonetta can follow up with a Down-Smash and Meteor Smash them straight into the Blast Zone. Infernal Climax (Final Smash): Everyone gets hit with Witch Time, giving Bayonetta time to deal as much damage as possible. When the time is up, the demon Gomorrah shows up to take a bite out of them. This can score instant KOs on anyone over 100% damage. Bayonetta was considered quite broken by the end of Smash 4. Does anyone else need to be reminded of this moment from the Ultimate Invitational at E3? Which led to this moment with series director Masahiro Sakurai? With all of that, Bayonetta has been nerfed. Is she still broken? No. Is she still a top-tier character? Oh, absolutely! First, let's examine the nerfs. In an effort to curb those sickening aerial combos, many of Bayo's aerials have been brought down to earth. While her Forward-Air has received a damage buff, she'll no longer bounce off of her opponents, which downs her combo game significantly. In fact, most of her aerials have either had a damage reduction, knockback reduction, or an angle change to reduce combo potential. Special moves? These have also been dealt with. Heel Slide can now be blocked to prevent its second hit. On top of that, its knockback means it can't be combo'd with Witch Twist until the opponent is at a higher percentage. Speaking of Witch Twist, it now takes longer to start up and doesn't get the vertical height that it used to. And what about Witch Time? Witch Time's duration is much shorter, making it a far riskier move. It also takes longer to start up, making it more difficult to land. Is it still possible to "zero-to-death" with an aerial combo? Theoretically, yes. But it's much harder now, making Bayo feel like a much "fairer" character. Of course, that doesn't mean the character got all nerfs across the board. Bayo's base speed has been upped, with a quicker dash move and a quicker leap. She's a little harder to hit now, even if her hits don't do quite the same impact. 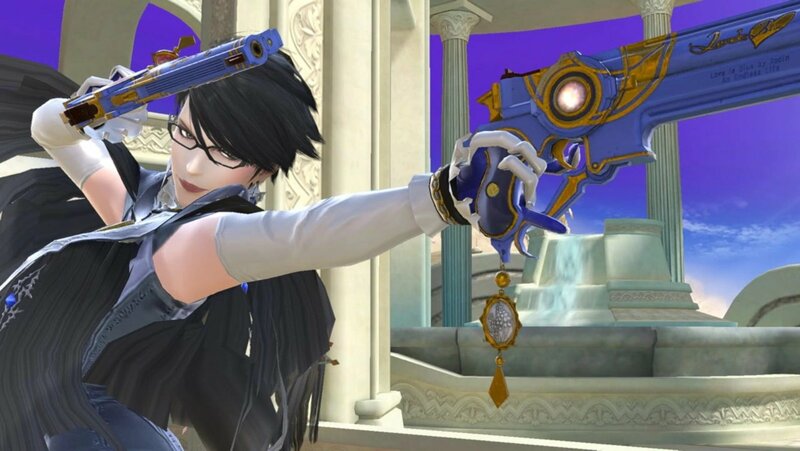 Bayonetta was omnipresent in the final days of the Smash 4 competitive world, proving challenging for players and outright vexing to spectators. So how does the new-look Bayo sit with the pro scene? First, we turn to two of the top luminaries from Most Valuable Gaming: Melee pro Jason "Mew2King" Zimmerman and 2017 Smash 4 EVO World Champion Saleem "Salem" Young. They examine the major nerfs, analyzing specific instances where old reliable Bayonetta combos now miss. Salem, however, is not deterred by Bayo's nerfs and still considers her to be the top player in the game, despite the loss of abusive shenanigans plays. James "VoiD" Makekau-Tyson had a ball trying to visualize the changes to Bayo's move set. Here he goes more into frame-by-frame detail on her big changes, noting the aforementioned nerfs and also why she's still a character to be reckoned with. Samuel "Dabuz" Buzby is taking Bayonetta's nerfs very seriously. Looking at the pre-release Ultimate builds, Dabuz went as far as to say that Bayo might actually be a bad character, citing the changes to her aerials and her Witch Time. Lastly, we look at a side-by-side comparison with Matthew "Xzax" Liberatore. He puts Bayonetta's moves from Smash 4 and Ultimate next to one another, putting a greater spotlight on her changes. But he does note that ever with these changes, Bayonetta is still a top-level character. We kicked off 2019 by checking out some top Bayonetta play from Zack "CaptainZack" Lauth, who demonstrates to Gonzalo "ZeRo" Barrios that Bayo is still a force to be recokoned with. Super Smash Bros. Ultimate is out now on Nintendo Switch. We're still going through every single character, so be sure to check back in often for more profiles. Find more information concerning Nintendo's latest brawler by stopping by Shacknews' Super Smash Bros. Ultimate walkthrough and guide.